I suppose there were two main influences which encouraged me to attempt the challenging and difficult field of historical naval painting. The first influence goes back to the two years we lived in the paradise island country of Mauritius in the South Indian Ocean. I loved the beautiful sand beaches, the crystal-clear water, coral lagoons, and its tropical vegetation and mountains! Mauritius has a very rich maritime history dating back to the 17th Century when its first European settlers were the Dutch. The French came next and they re-named the island ‘Isle de France’. During the next two hundred years of global rivalry between Great Britain and France, Isle de France served as a base of operations for famous French corsairs like Robert Surcouf to prey on ships of the British East India Tea Company and for Admiral Suffren and his naval squadron to wage war against the British in trying to gain control over India and Ceylon. The island finally changed hands from the French to the British much later during the Napoleonic Wars. After a humiliating defeat at the Battle of Grand Port in 1810, the only multi-ship naval action which the British lost to the French during the Napoleonic Wars, they quickly came back and captured the island through a full military invasion and it remained a British colony until its independence in 1968. 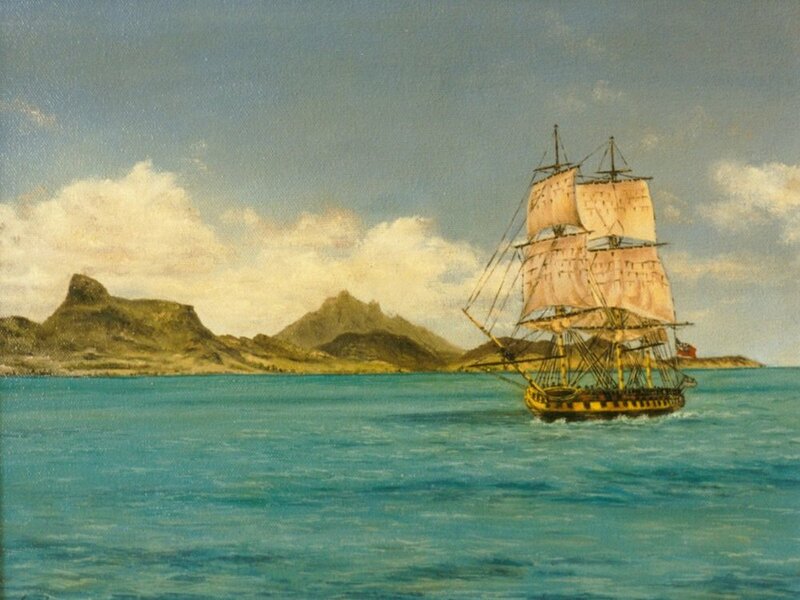 All of my naval historical paintings to date except for a recent commission, ‘The ‘Sovereign of the Seas’ Returns to Portsmouth,’ deal with the history of Mauritius. 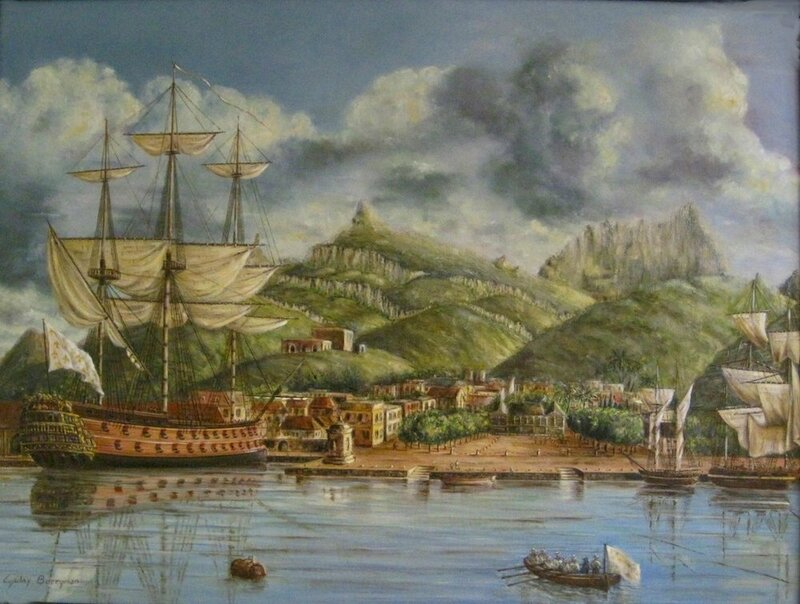 If you are interested in Maritime Art, I’d love to know why. Please share your story!